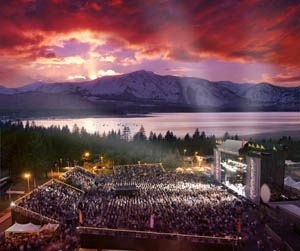 Tomorrow at this time I will be in Tahoe, the start of the Phish California run. Ecstatic doesn’t begin to describe how I feel. See everyone on the beach, in the casinos, and at the show. Then in San Francisco and Hollywood to do it all over again. I love West Coast Phish. This entry was posted in Concerts, Music, phish and tagged Harvey's Casino, Lake Tahoe, Phish, South Lake Tahoe, Stateline, summer tour by leslieloudspeaker. Bookmark the permalink.